Adult and Career Education Spring classes are ready for registration! 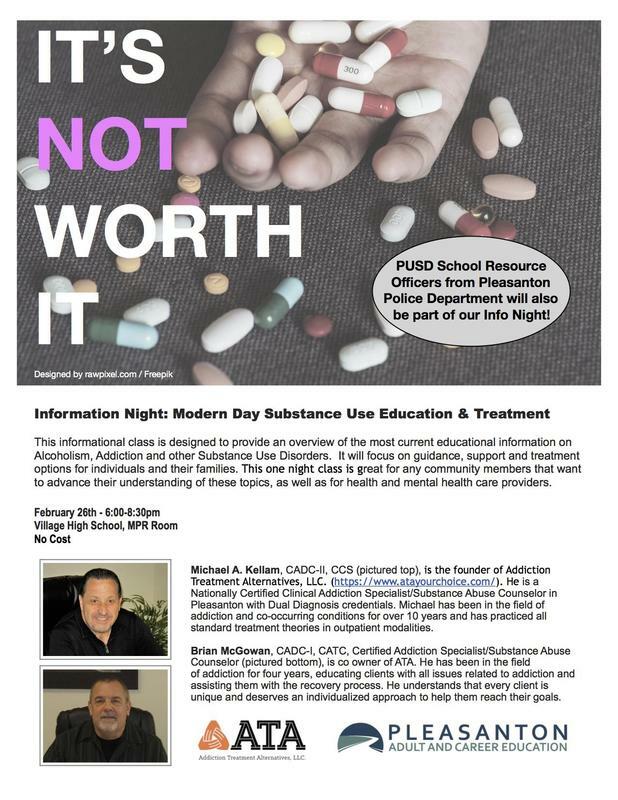 This informational class is designed to provide an overview of the most current educational information on alcoholism, addiction and other substance use disorders. It will focus on guidance, support and treatment options. Class is on February at 26 - 8:30 pm Village HS MPR. No cost. Click on the headline to see our flier.